Loren Trotter is an engineer in Active Chassis Control Systems, as well as a die-hard Jeep® enthusiast and avid off-roader. Some of the shots below come courtesy of his trips to Moab, demonstrating the capable off-road system he’s speaking about below. Jeep® has long been the leader in four wheel drive systems and in 2005 introduced Electronic Limited Slip Differentials (ELSDs) and brake based traction control tuned specifically for off road driving on the Grand Cherokee. Since then, traction control has been added to the Commander, Liberty and Wrangler. From reading several articles written about these vehicles, I feel that there may be some misconceptions about Jeep brake based traction control and even some misconceptions about ELSDs. There are several parts to traction control and they are enabled or disabled depending on the driving mode the driver has chosen. When the vehicle is in 4wd high range and the Electronic Stability Control System (ESC) is on, traction control uses the brakes and engine torque control to limit how fast the driven wheels can spin relative to the actual speed of the vehicle. BLD does not care how fast the wheels are turning, just that they are turning at the same speed. It provides improved traction capability similar to a locking differential. There are times when controlling how fast the wheels spin may not be desirable for driving conditions such as mud or deep snow. In this case, pushing the ESC button once (in 4wd high range) will disable the brake and engine portions of traction control that control how fast the wheels are allowed to spin but leaves BLD on. In 4wd low range, only BLD functions so there is no need to turn off traction control. Just to get this out of the way; from the Jeep perspective, BLD is not a substitute for locking differentials. 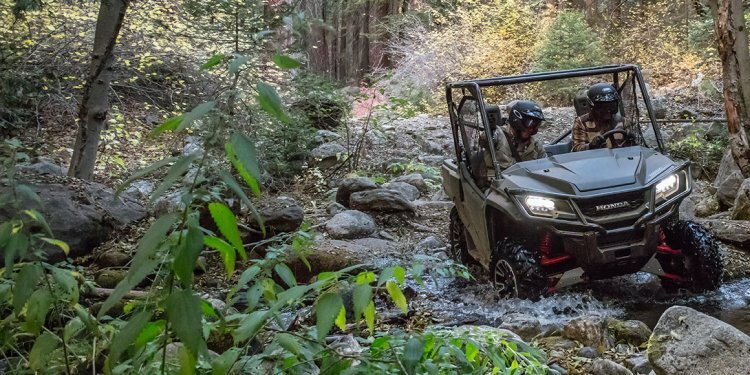 It is a means to greatly expand the off road capability of vehicles that were not purchased with or do not offer locking differentials. A Jeep vehicle with BLD will negotiate almost any obstacle or driving situation that a similar vehicle with locking differential will. BLD does require a change in driving style and more torque to negotiate the obstacle. We have worked very hard to make the BLD on Jeep vehicles work well off-road and reduce, and in most cases eliminate, the complaints about brake based traction control. This time I will write about BLD but I can write a future blog about ELSDs if there is enough interest from all of your readers out there. To understand what BLD does, it is necessary to understand how and open differential works. Open differentials have many attributes that make them the best choice for most vehicles. They are simple, proven and reliable requiring only an occasional fluid change to last for many years. For rear wheel drive vehicles, they also provide a stability advantage over locking differentials (such as a Detroit Locker) that are always engaged. The main drawback to an open differential is that torque is always split 50/50. Each wheel receives 50% of the input torque (ignoring losses). This means that if one wheel is in the air and it takes almost no torque, say 10 ft-lb., to turn the wheel, the other wheel will only receive 10 ft-lb. of torque. If 10 ft-lb. is not enough to move the vehicle in the desired direction, it will not move. Using the vehicle’s wheel speed sensors, BLD knows when one wheel on a driven axle is turning and the other is not. BLD will apply brake pressure to the wheel that is turning. The applied brake pressure increases the torque required to turn the wheel in the air and this allows more torque to go to the wheel on the ground. The one drawback is that the input torque must be twice as much as required to negotiate the obstacle because of the brake application. The required extra torque is not usually a problem especially in 4wd low range.